Tremendous feedback and demand for more has really motivated us to arrange another Risk event. We are delighted that Janus Henderson (fantastic hosts) will be providing space and light refreshments for the event. 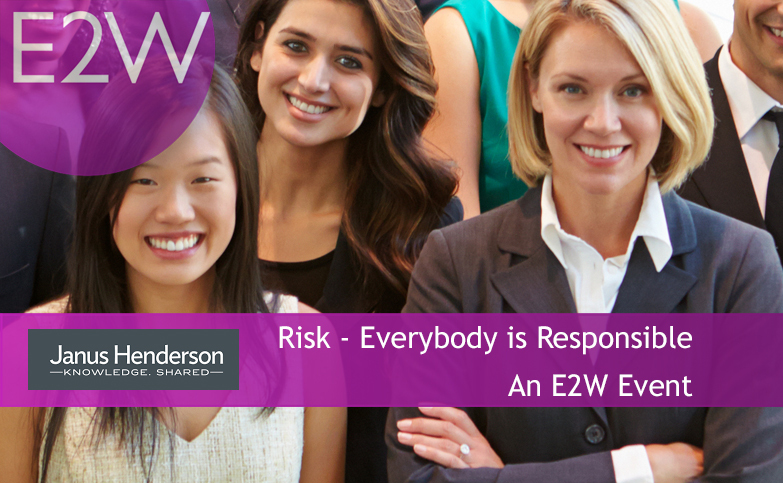 Join us and share your knowledge and experience of working in the different areas of risk. Share insight into the trends we are seeing and the skills that will be required to work in the risk function in the future. Mostly come along to meet old and new friends, encourage colleagues to join you, and enjoy a lively discussion at an informal friendly E2W event. This is a popular event so please register on the website as soon as possible to reserve your place. Our events aim to bring women together in a supportive and friendly environment to enable you to meet new friends, share current challenges and potential solutions, listen to each other’s stories, and make new connections.